What Is The Definition Of Backchecking In Hockey? 1. This refers to when the defense has to rush back to their defensive zone after the offensive team gains control of the puck and moves up the ice towards the attacking zone. 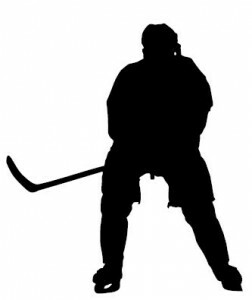 If the offense gets behind the defensive players, a defensive player may try to “rub up” against the offensive player with the puck (from behind) in order to slow down their attack, or they may also try to poke away the puck from the offensive player from behind with their own stick. 1. Bure intercepts the pass at center ice and tries to break away, but is backchecked from behind by Johnson, who’s able to slow down Bure enough to tap the puck away from his possession.